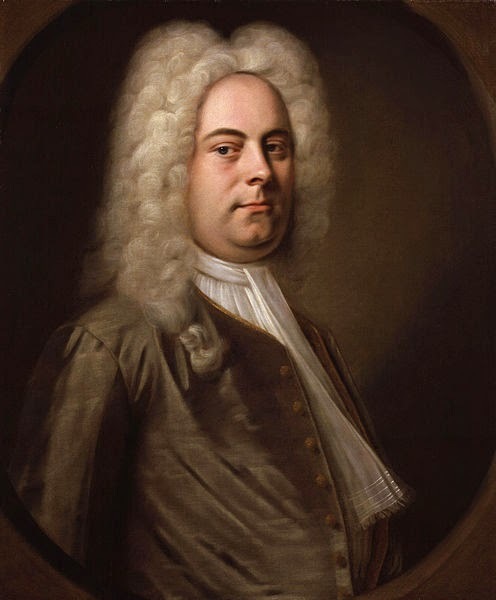 We have previously met George Frideric Handel on more than one occasion and witnessed the premieres of both the Water Music and Coronation Anthems. Those works were celebrated by those who heard him, but his opera, Serse, which premiered on this day in 1738, was not quite an instant hit. In late 1737 the King's Theatre in the Haymarket was on the lookout for new material and Handel was commissioned to write two new operas. The first, Faramondo, received its premiere on 3rd January 1738 and the second, Serse, was to receive its premiere on 15th April 1738. From late December to mid-February Handel laboured on Serse. Faramondo opened to something less than acclaim in January and closed after just eight performances, which hardly filled the composer with confidence for his next work. The follow up piece was eagerly awaited by theatregoers though, who were keen to see if Handel's second composition for the theatre would be an improvement on Faramondo. However, as they crowded into the auditorium on the Spring night, the eager audience were wholly unprepared for this innovative new opera and when they left several hours later, enthusiasm had turned to dislike. The opera was quite unlike Handel's other works and bucked the trend of highly serious works by including comic elements that set the collective teeth of the audience on edge. Not only that, but the style of the composition was also different to that which had become the norm as it contained a series of short arias as opposed to the expected longer pieces. Serse was a failure and Handel's opera closed after five performances. In fact, it was not to receive a major revival for almost two centuries when it was welcomed by audiences. It remains popular to this day, the opera that had so befuddled Georgian audiences a regular fixture across the globe.